Making your book a top pick is going to take your help — you need to champion it as a Loan Star. There's lots you can do to make sure your titles are considered by library staff for the Loan Stars top picks lists. 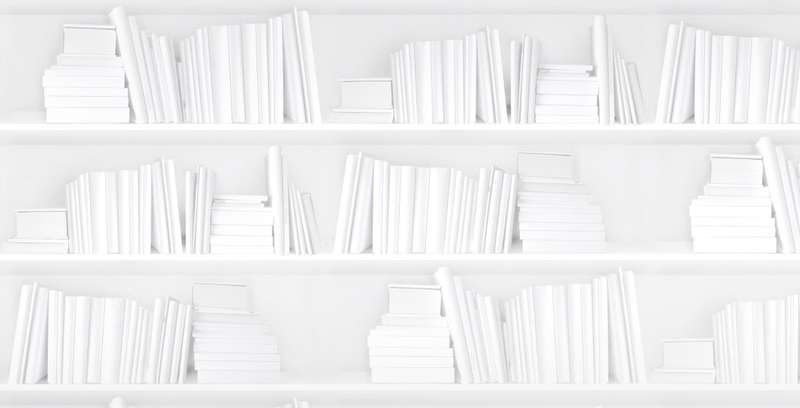 We've put together this list of handy tips to give your books their best chance. All forthcoming adult titles more than two months away from their publication date are eligible for Loan Stars votes. For example, for titles that publish in May, library staff can vote for them until the end of March. We're always working ahead so that library systems have enough time to order and catalogue the books prior to publication. Make your ARCs easily accessible — we can't stress this enough! Library staff can't vote for your book if they can't get their hands on a copy. We also highlight a selection of titles available for request in a monthly newsletter that goes out to over 400 library staff. If your titles can't be requested, we can't promote them! Enable reading copy requests for your CataList account. This will allow library staff to request ARCs directly from you. Use a galley service like NetGalley. This makes digital ARCs quickly and easily available. If you're using NetGalley we recommend that you respond to requests in a timely manner and learn how to recognize ARC requests from Loan Star Reviewers. We also recommend making ARCs available as early as possible, at least four to six months prior to the publication date. This gives time for librarians to find and read your books before voting. Let library staff know that you're actively participating in the Loan Stars program through your library mailing lists. Keep them informed about the ARCs you have available for request. Run Loan Stars–focused giveaways and contests. This gives library staff a chance to get their hands on your books and it also helps build your library mailing list. Create CataList catalogues specifically for Loan Stars and promote them to library staff. Make sure these catalogues contain books for which you have ARCs and that you feel will appeal to the library market. Library staff have to remember to return to CataList after reading the book in order to cast their vote. We recommend that you do what you can to encourage them to go back and cast that vote. When you give away an ARC think about ways that you can say to your readers, "Here's your free book. If you like it, please thank us by voting for it as a Loan Stars pick." We have information we can provide, along with templates for bookmarks and stickers, so don't hesitate to get in touch at loanstars@booknetcanada.ca. Help us, help you. If we work together, we all win! Interact with us on social media. On top of our twice-a-month mailings, we also promote lots of books on our Twitter and Facebook accounts. We promote approximately 20 titles available on NetGalley each month on Twitter, and we highlight the month's top picks with the hashtag #putaholdonit. We're always happy to tweet about your books, so chat us up at @LoanStarsCA or use the hashtag #LoanStars! Keep us informed about your key forthcoming titles by sending us an email with a list of these titles at the start of every season. We use this information to narrow down the titles we promote in our mailings, which reach over 400 library staff across Canada. Each month, library staff who vote for a title are entered into a contest to win a prize pack of three books — usually one of these is a forthcoming title that the publisher can champion as a Loan Star pick. These prize packs may feature one publisher at a time or, as in the case of National Poetry Month, we showcased three Canadian publishers. We promote the prize packs in our newsletters. If you're interested in participating, please contact us for details. You can also sign up for the Loan Stars mailing list. Finally, you're the marketing experts, so be creative! And please let us know if you need anything. We're here to help in any way we can.